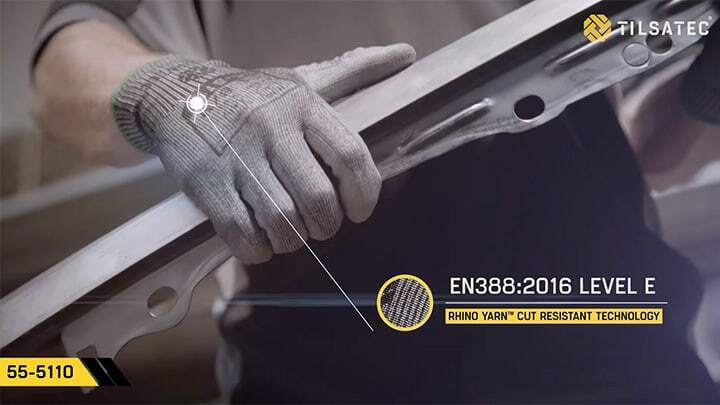 When it comes to finding the right hand protection for your industry and application, it’s likely you’ll encounter various different glove coatings from flat and foam nitrile to PU and latex. But how do they differ and which coating is right for you? In this blog post, we look at each of the common glove coating types and when and where you should use them. Gloves with a flat nitrile coating are tough and durable with good abrasion and puncture resistance. 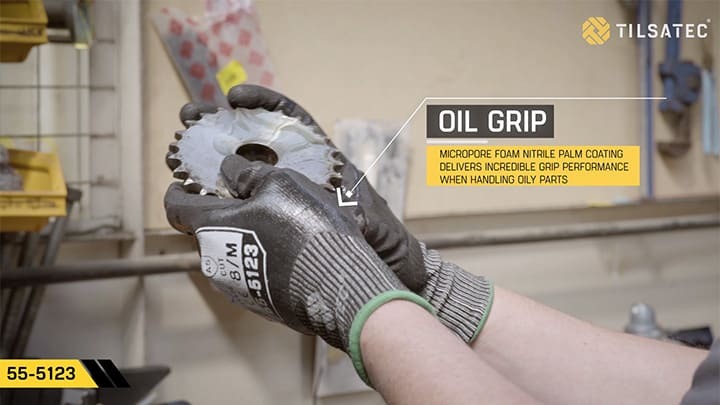 They typically stand up well to oil, grease, and liquids, however, they can be less dexterous so not suitable for small intricate assembly work. Excellent abrasion resistance, puncture, and tear. A foam nitrile coating acts like a sponge when working with oily surfaces providing superb grip in wet and oily conditions. Foam nitrile also allows the hand to breathe, meaning improved comfort for wearers. However, the open pore structure of foam nitrile can become saturated when subjected to heavy oil and liquids, so more suited to dry or light oil environments. The 55-5120 lightweight cut level E micropore foam nitrile palm coated glove is incredibly dextrous delivering good grip, comfort and touch sensitivity. Polyurethane (PU) is often considered the ideal coating for cut resistant gloves thanks to its soft and stretchy properties that still provide good puncture resistance without being too bulky. PU is durable and flexible, making it an excellent coating for general sharp handling and assembly across multiple industries such as manufacturing, aerospace and precision assembly. PU coatings tend to have higher penetration levels into the knit liner as a downside and this can cause issues with skin sensitivity. PU is also a non-breathable coating so is often used as finger or palm dip style to reduce perspiration inside the gloves. 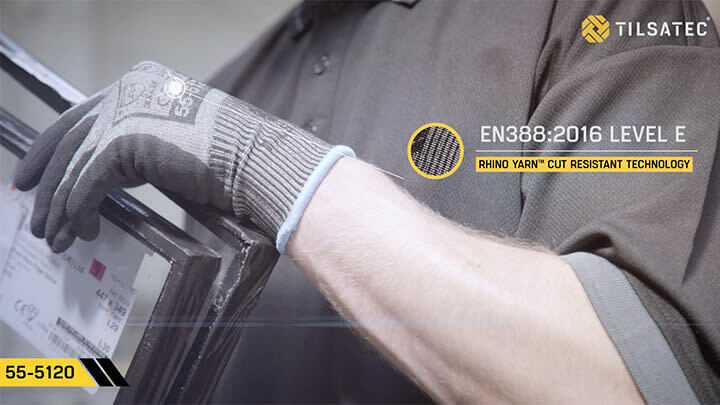 The 55-5110 lightweight cut level E PU palm coated glove is our toughest and finest PU glove to date, delivering high tactility and durability combined. Latex delivers high elasticity and grip in comparison to other glove coatings. This is especially true for crinkle latex, which offers outstanding grip along with abrasion and puncture resistance. Latex is very durable and suitable for a number of applications in industries such as construction, metal fabrication, utilities, and waste management. A downside to latex coated gloves is that latex contains a protein that can cause allergic reactions in some wearers. 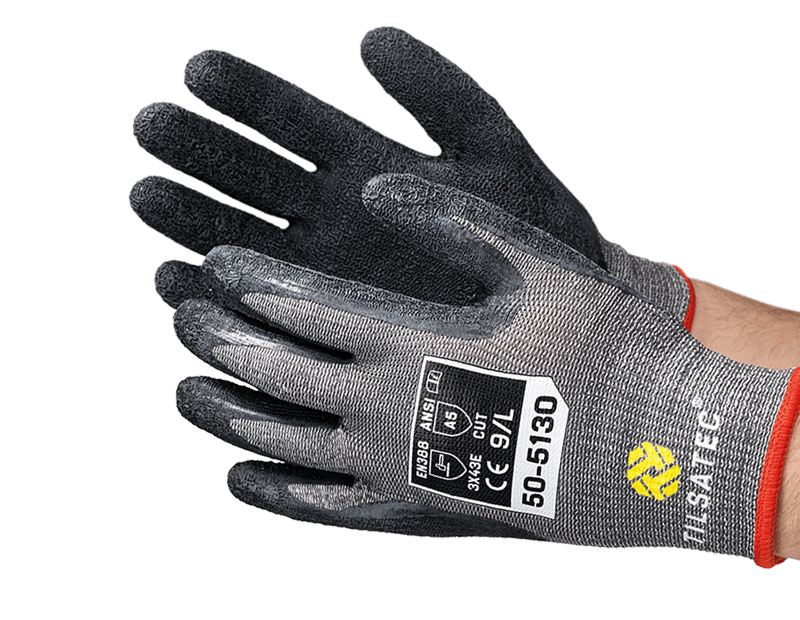 Our 50-5130 medium weight cut level E crinkle latex coated glove is tough and robust, masks dirt and offers uncompromising protection in high cut hazard applications.